I would like to take this opportunity to wish you all a very happy and prosperous 2015! We wave goodbye to the old year, and welcome in the new one. Hopefully it will be an even better year for everyone, dreams materializing and wishes fulfilled. 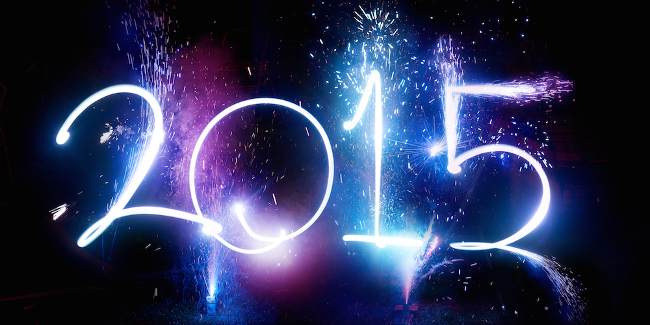 If you’ve enjoyed a great year, I hope good fortune will follow you through to 2015. However, if 2014 was troubling for you, I am empathetic of the difficult times you may be going through – stay strong, better days are ahead. Sooner or later, we all encounter those dark periods in our lives and we have no choice but to deal with them. As trite as that may sound, it really is one of those truths that life bestows upon us. I know many of the fine folks reading this blog are predominantly gamers, fellow game developers or those involved in other creative fields. Your interest and moral support is highly appreciated. This blog took off around mid-year and has gradually earned a small audience which I’m pleased about. Regardless of the niche subject matter covered here, the enthusiasm is great and that’s what counts in the end. My own game development endeavours are moving forward steadily. I spent much of December streamlining my development pipeline and reorganizing the work schedule. As I’m now involved with two game projects, an efficient development process is now of even greater importance. There are plans to release both games in 2015, there are no set dates yet. If all goes well, at least one title will be available in the early part of the year. At this point in development, I can safely say that both games are high on coolness factor. So high, that I sometimes wonder if they wouldn’t be better served as a kind of fashion accessory. Weird as it sounds; comparisons to wearable accessories aside, I do see these games as a form of expression – both for creator and player alike. As a creator I get to express my influences, personal style cues and signature within my projects. On the other hand, players who take to my games will also be expressing their own tastes. Of course the entertainment value of any game is of utmost importance, but our tastes often define us and that’s important to. It’s time to wrap-up, I’m sure many of you are preparing for the end of year festivities. If there’s one thing I regret about 2014 is that I didn’t get to play many games. I just happened to be incredibly busy with business issues, and developing games on top of that doesn’t actually help matters. For those aspiring devs, thinking that they will have more time available to spend on their favourite hobby should think again. You’re more likely to spend time playing your own game over and over and over. Not necessarily a bad thing but missing out on gaming does sting. While one of my new year’s resolutions is to play more games during 2015, I’ll hold out until I have released my own games. For the rest of you, happy gaming in the coming year! Here’s to 2015, which will be a very different year for me (big life change that I won’t get into here). I know what you mean about having time to play games. Over the last few years (without anyone actually saying it outright) I’ve noticed one of the ironies of being a game dev is that you don’t have a lot of time to play games. It seems wrong somehow, bringing the question to my mind, “If you don’t play games how the hell can you expect to make one?” What powers any chance I have of being successful are memories of all the games I played when I did have time and Let’s Plays on YouTube. Kinda sad, but not much can be done about it. Hey Kevin, all the best and every success for 2015! Yes, it’s important for developers to spend some time playing games, also helps for reference purposes. Only feasible solution I can think of is devoting a little time every day to play games, perhaps 30-60 minutes. Doesn’t sound like much but it’s better than not playing any games, at all. Good luck with the upcoming changes in your life, I know these tend to be scary, exciting or both. Whatever the case, I hope you will continue to develop games in the years to come.